Urban 20mph speed limit as a default, with exceptions for higher speeds. We feel this, if correctly managed, is “low hanging fruit” and would quickly, and cheaply, improve the environment for active travel. Use of evidence when deciding on urban cycle facilities. 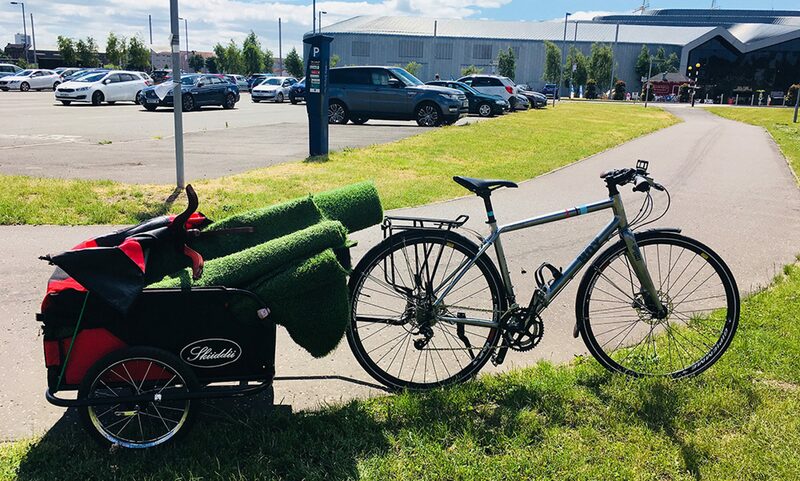 Too many cycle facilities take little or no cognisance of where people cycle – and evidence of where people cycle is readily available (though apparently not in cycle infrastructure design offices!). Too many cycle facilities are discontinuous, yet accident data tells us that junctions and roundabouts are hazardous for cyclists – and isn’t this just where cycle lanes stop? Space reallocation: we need our space on the main roads where we currently cycle. Presumed Liability: we support the Road Share campaign for Presumed Liability and a change in civil law to bring in Presumed Liability will be a big improvement for cyclists and pedestrians who are injured on our roads. The Minister was interested in what we had to say, particularly the evidence of where people currently cycle and although we do not agree on all points, progress has been made. Previous PostPrevious You can help shape investment in walking and cycling for Scotland! Next PostNext Conservatives and Greens confer in Glasgow – let’s get the Active Travel message to them.